Airnorth on July 4, 2018 celebrated its 40th birthday. Established on July 4, 1978 in Darwin, Airnorth began operating charter flights throughout the Northern Territory. 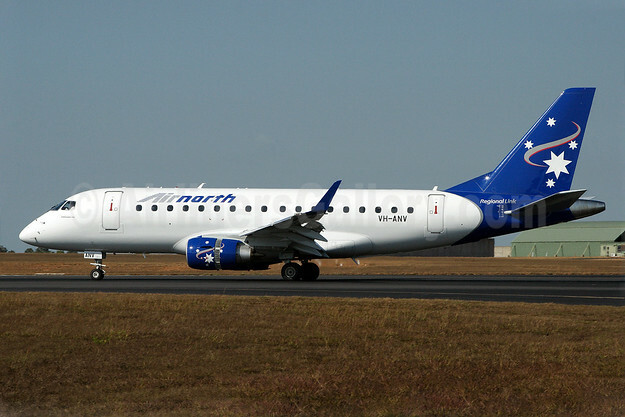 By the late 1980’s, Airnorth had established itself as the premier regional carrier throughout the Top End of Australia. Today, Airnorth now operates 220 scheduled departures weekly to over 20 destinations. Top Copyright Photo: Airnorth Embraer ERJ 170-100LR VH-ANV (msn 17000280) DRW (Rob Finlayson). Image: 924726. This entry was posted in Airnorth (Australia) and tagged Airnorth, Embraer ERJ 170-100LR, msn 17000280, VH-ANV on July 9, 2018 by Bruce Drum.